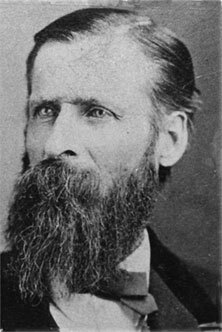 The William Hart's story had many twists and turns (see biography of William Henry Hart). He was a watchmaker, jeweler, businessman and prolific inventor. 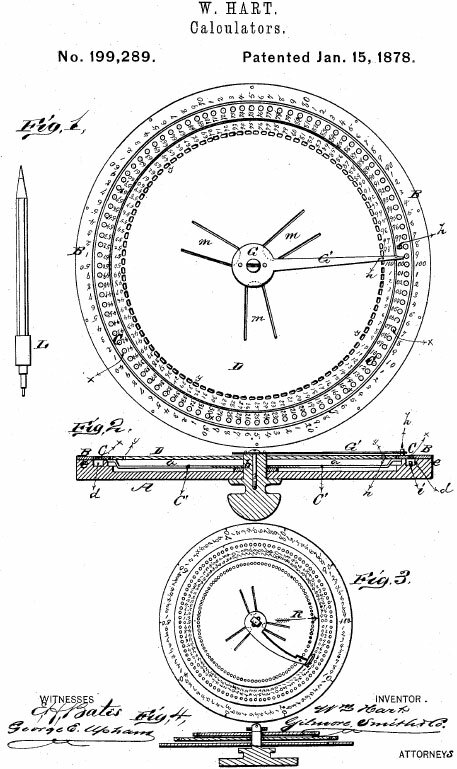 Hart had quite a few patents for various instruments and devices, like second-hand holder and screw-end finisher (US patent 264532), graphophone-reproducers (US665601, US648406, US644981, US651308 and US817062), clock-escapements (US33990, US326292 and US106815), hammers (US217101), ruby-pin and pallet setter (US264533), etc., but it seems these devices were never used. That's not the case however with his calculator, known as Hart's Mercantile Computing Machine, US patent 199289 from January, 1878 (see the lower drawing). The device was sold under the name Hart's Mercantile Computing Machine. There are several of these calculators known to exist now. One of Hart's calculators is on display in the Smithsonian National Museum of American History (see the image below). According to a local newspaper, Kirksville Missouri Democrat for July 26, 1888, by then Hart had sold 3500 of these devices and he lately ordered one thousand more. Smithsonian’s calculator indicate Scovill Manufacturing of Waterbury, Connecticut, and a company by the name of J. W. Strange, made it. Scovill was a maker of brass products. 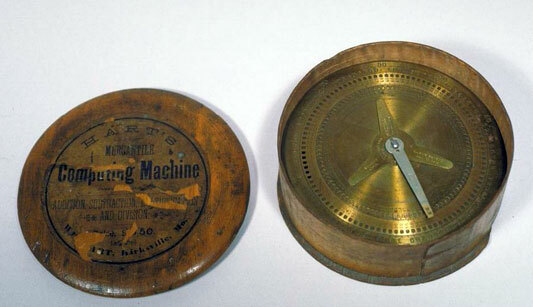 The calculator is housed in a cylindrical wooden case (with cover), with diameter 13.5 cm and height is 5.5 cm. The instrument itself is made by steel and brass, and has a wooden handle. 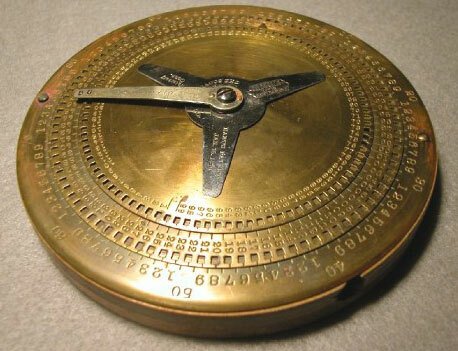 The device consists of three concentric brass discs, a brass marker, a steel stop, and a long wooden handle with a pointer coming down from its end, which rotates the upper disc over the lower one to add numbers up to 99. Each brass disc has the numbers from 0 to 99 stamped around the edge. The two inner discs both have a circle of 100 holes just outside the numbers. The inner holes are used to add the last two digits of a number by rotation. Any hundreds value in the sum carries to the second set of holes, which are used to add hundreds and thousands places. When the total exceeds 99, a hand like the short hand of a watch automatically advances one to indicate the hundreds value (the adder has a single carry). Sums of up to 9999 can be indicated.